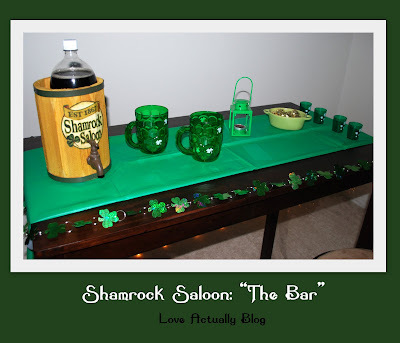 Here's the outline to make the Shamrock Saloon a fun part of your St. Patrick's Day! 1. 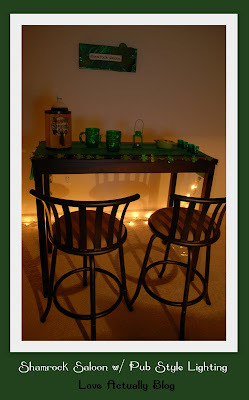 Atmosphere - You'll need to round up a few items to transform a part of your house into an Irish Pub. Check the dollar stores, craft stores, walmart/target, and party stores for green stuff. I changed my office/den into a pub using my craft table as the bar (pulled away from the wall) and my barstools from the kitchen. White lights on the floor help set the mood by keeping your pub dimly lit. 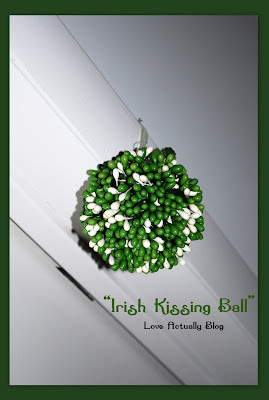 You'll need to have some sort of green ball hung above the door where your pub will be...you'll find out why below. Inventory from my pictures: Green Shamrock Glasses, Dollar Tree; Green Shamrock Shot Glasses, Michael's; Shamrock Garland, Michael's; Kissing Ball, Dollar Tree; Shamrock Saloon Beer Barrel, Michael's; Green Lantern, Michael's; Green Shorts, Christmas Tree Shops; Green Striped Hats, Dollar Tree; Green plastic tablecloth (folded as table runner), party store. Tip: I also saw a bunch of green items (including green head bands, green & white striped hats, "Kiss me, I'm Irish" Tshirts, etc.) at Target. Quite a few items in the $1.00 section. 2. Music - Irish pub songs are a must! Play them loudly (or as loud as possible for those with sleeping kiddos). I had my laptop set up in the room and listened to classic Irish pub singers, The Clancy Brothers free from Rhapsody. Just click "Play all" and you should be set for the duration of your date. 3. Food/Drinks - I definately don't encourage drinking, although this date may seem to allude that I do. In fact, the only thing we got drunk from on this date was Root Beer! The Beer Barrel in my photos is just for show (and has actually been taken back to the store...hey, I'm on a budget!). I served some cheesy garlic sticks that I made quickly prior to the date. Any type of appetizers would go well with this date, I think. If you wanted to go all out, you could serve Corned Beef and Cabbage, or just something with meat and potatoes. Ours was after dinner, so Root Beer and Appetizers were perfect. I made him wait outside as I lit the lantern and placed his "pub attire" and note by the door. Then I took my place "in the pub" and called him to come in. 6. Getting Into Character - This is what will make this date GREAT. 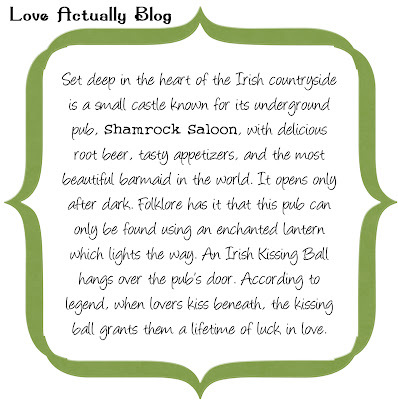 You'll want to be boisterously flirtatious while attending to your pub's one and only visitor. Let him know that everything's "on the house" tonight. Whatever he needs, just give a hollar your way. Feeding him appetizers while sitting on his lap might just be one of the great bartending services you offer. ;) Once your date at the pub is winding to a close (you've drank and eaten enough), announce that the "Pub is closed, boys!....except for you...(pointing at him) Our after party is just beginning!" You can take that where you'd like to. Oh, and if you're able to pull off an Irish accent, more power to ya... I didn't even attempt it. Irish Drinking Song Improv Clips - My hubby is a big fan of YouTube videos. So, after the Shamrock Saloon turned off the lights for the night, we cuddled up on the couch and watched a bunch of clips from "Whose Line is It Anyway". (LOVED that show!) These were improv Irish Drinking Songs on day-to-day topics. We found them entertaining. Click HERE to find these videos. 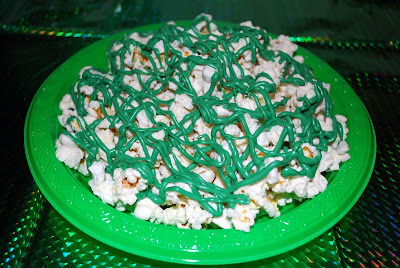 You could make up some plain white popcorn and drizzle green chocolate melts over it for a post-pub snack while watching your video clips or movie. yumm! Of course, you should always put your own creative spin on the date--you know what your hubby likes best, after all. So, take what I've given you, adapt it, and have FUN with it! 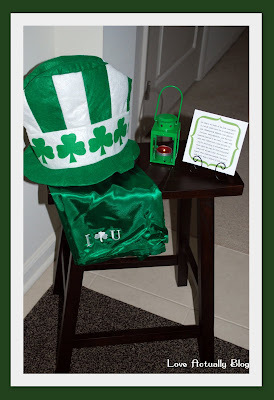 More St. Pat's Ideas...coming your way! Although, I think will be most husbands' top pick. Today is the last day to get entered for the Shabby Apple Dress Giveaway---scroll down two posts on the homepage to enter! Love this idea!! Bookmarking it right now so I don't forget. Thanks! I'm my husbands Galloway girl! I LOVE THIS! so using it. we watch the Quiet Man every st. paddy's day and corned beef sliders are on this years menu. I LOVE the pub idea, totally stealing that one. So fun! 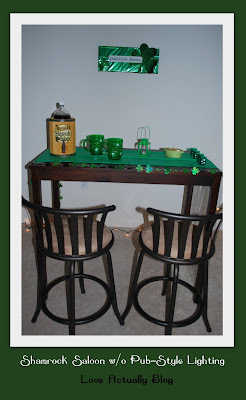 Now I just need to get him to build the bar in the basement so I can turn it into our romantic Irish Pub! Normally we actually go out to the local Irish pub, but who's saying we can't do it twice this year! Once out, once in! This is very cute! 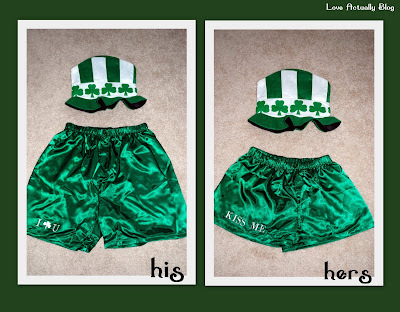 Of course me actually being Irish, this will just give my husband extra amo for Irish jokes. LOL! So cute! St. Patrick's Day is almost bigger than Christmas in our house. These are great ideas! You seriously are amazing! This is oh so cute! Never thought more of ST. Patty's day than a date that comes a few days after my dd's b-day! Might have to look into doing something fun like you've shown! Pub night was definitely a success at our house! Thanks for the wonderful idea. Thanks for sure a fun and creative idea! Shamrock Saloon was a hit on St. Patty's day! Loved this idea!!! and so did my hubby!!! :0) Thanks for the idears and keep em coming, it adds spice and fun to the marriage LUV IT!!! Completely St. Patrick's day is what you can breath in that room. I bought some things at viagra online for the next celebration already, but you give some new ideas to decorate.